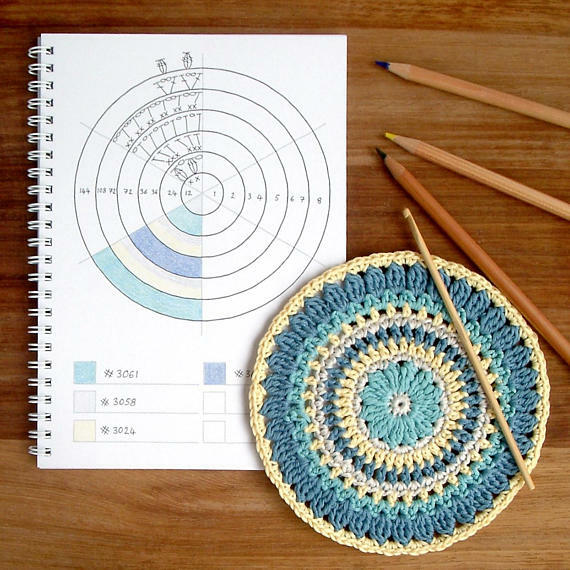 Make your crochet dreams a reality with this unique spin on the adult coloring book trend made just for crocheters. This handy crochet companion notebook contains 35 pages of heavy-duty recycled paper that will withstand markers, pen, glue, and even paint. 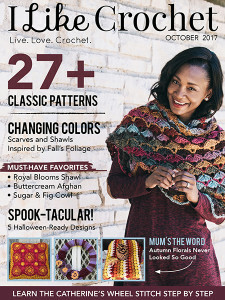 You’ll find 24 different designs that will be familiar to any crochet lover for recording design ideas, color inspiration, yarn notes, and much more. Follow your dreams with a crochet coloring book that will keep your inspirations and detailed plans always within reach! 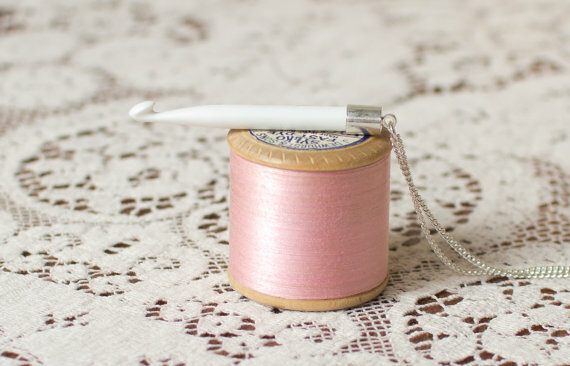 For any fashionable crochet lover, this elegant charm necklace is sure to have them “hooked.” There’s no better way to celebrate the glory of crochet than wearing a simple hook pendant to honor the tool that makes crochet possible. Remind yourself that creativity can be found in the most unexpected places with a delicate accessory that’s guaranteed to make a statement year-round. 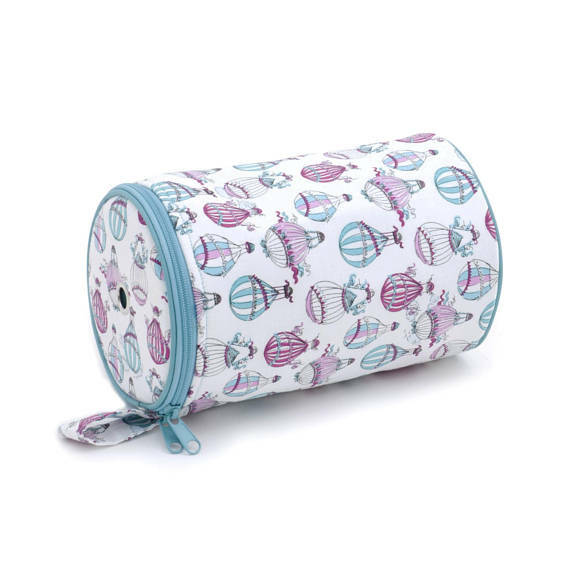 Store your yarn in this whimsical hot air balloon storage case for a yarn holder you’ll love to tote on every new adventure. This practical and cute crochet accessory will keep your yarn secure in a made-to-last yarn bag that can hold 2-3 balls of yarn at a time. 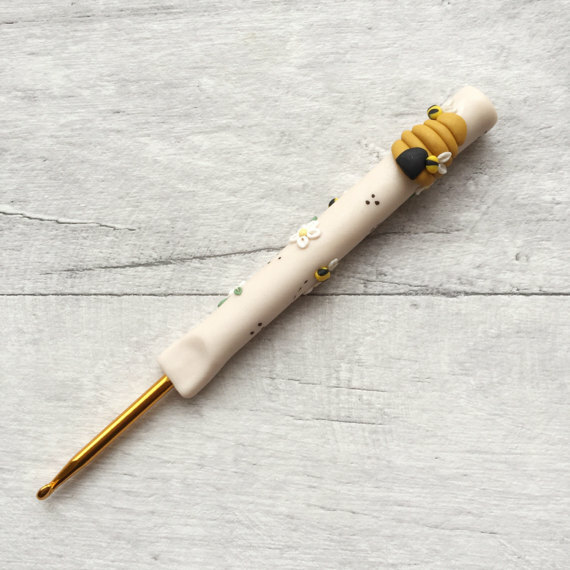 Made from durable fabric with a charming hot air balloon design, this yarn holder will keep your tools safe and your creativity flowing. The zippered lid with a hole to thread the yarn through allows for easy access and endless possibilities.